Hello, Gorgeous! : Hello Gorgeous/Avery Lane Boutique Exclusive Look: Summer Weddings. Hello Gorgeous/Avery Lane Boutique Exclusive Look: Summer Weddings. Every summer, hubs and I have at least a handful of weddings to attend. And each time a wedding rolls around I find myself asking the same question: "What the heck should I wear?!" There are so many suggested 'dos' and 'don'ts' when it comes to wedding attire. Don't wear white. Or cream. Or anything light. Don't wear red! Don't wear black, it's not a funeral. So, part of the reason that I'm always a little flustered with what to wear is because I feel somewhat restricted on what is appropriate. Because the last thing that you want to do is wear something that the bride finds offensive. It is her biggest day, after all. So, what's a girl to do?? Wear something somewhat neutral, but with a flare! My favorite 'wedding attire' lately has been a dress in a neutral color. But, one that has something that *pops* and catches the eye. This way, you're playing it safe, but you're also having fun with your look. A perfect example of this concept is this absolutely fabulous dress (and oh so pretty jewels) from Avery Lane Boutique-- handpicked by yours truly! The gorgeous "Midnight Memories" dress and the "Frost Me" bracelet and earrings are this month's Hello Gorgeous/Avery Lane exclusive look-- and all of the pieces can be purchased right here! I wore this ensemble to a friend's wedding last week and the dress and jewelry were a huge hit! And I just have to say, the bottom of this dress is incredible and so faboosh! 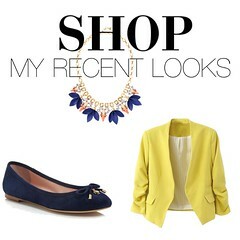 This look will leave you feeling appropriate, perfectly polished, and beyond fabulous! Wow, that dress is stunning. Love it! I wore a salmon colores one for my friend's wedding recently looked beautiful! you look BEAUTIFUL! so cute. What a fun hemline on the dress! Great wedding guest look.